With a population of 442, 500, Bristol is the eight most populous city in the United Kingdom and attracts just under half a million tourists every year. Those who visit the English city often spend much of their trip taking in some of Bristol’s most famous historical sites and tourists attractions such as Blaise Castle, Colston Hall, and The Old Duke. However, there are a small percentage of Bristol tourists who are not so eager to see the typical points of interest. 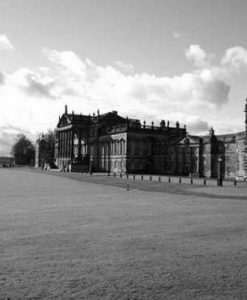 Rather, they come searching for the paranormal and visit the city’s supposedly haunted locations in which some of the UK’s most famous (or infamous) ghosts are said to dwell. 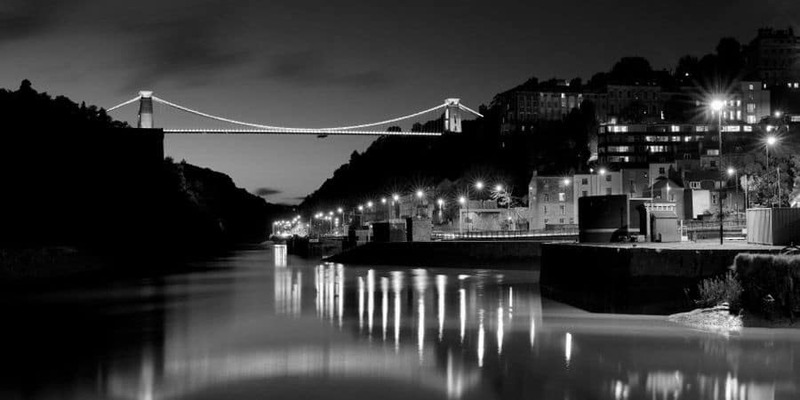 Many of the people who visit Bristol are unaware that the city is so steeped in the paranormal, so if you’re planning a trip there any time soon there are some places you might want to read up on. 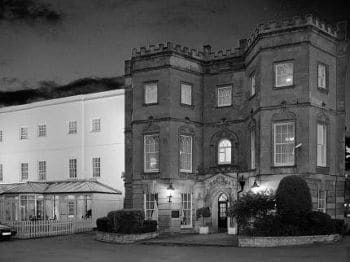 Here are five of the most haunted places in Bristol. 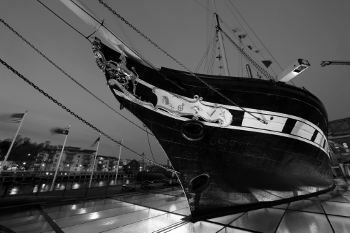 One of the most famous ships this side of Boaty McBoatface, the SS Great Britain saw many a voyage from its launch in 1843 to the day it was retired in 1886. Equipped with some of the most advanced machinery of its time, the Great Britain could hold up to 730 passengers and 1200 tons of cargo in its heyday. The ship braced the waves of the Atlantic ocean and carried thousands of passengers from England to the United States of America before the seawaters finally began to take their toll and it could no longer serve its purpose. A shadow of the ship it once was, the SS Great Britain was little more than a source of materials to repair other boats damaged during the Second World War. The Great Britain is today docked at the Great Western Dockyard and attracts thousands of tourists each year as a museum ship. However, many of the ship’s original passengers seem to be a little reluctant to disembark. Captain John Gray, who obviously served on the Great Britain as Captain, has been spotted countless times by passengers and museum staff alike. The Captain is believed to have committed suicide by throwing himself overboard, which nobody has been able to explain as Gray was popular among his crew and passengers (though there were rumours of him being unwell). Captain Gray’s footsteps can often be heard echoing throughout the ship as his spirit tours the halls and rooms which were once under his command. Just prior to the reopening of the SS Great Britain a decade ago, staff were shocked to discover a woman standing on the Promenade Deck. It was assumed that the unrecognised lady was simply an eager tourist and staff approached her to inform her that the exhibit would not be open for another couple of days. Before they could speak to her, however, she vanished into thin air. A church, like any place of worship, blurs the li between this world and the next enough as it is without any rumours of ghosts and ghouls. For that reason, I think all paranormal enthusiasts will agree that there is nothing quite like a haunted church. Bristol’s All Saints Anglican church is a much different site today than it was when it was first built nearly 1000 years ago, but remnants of its past can be found everywhere. 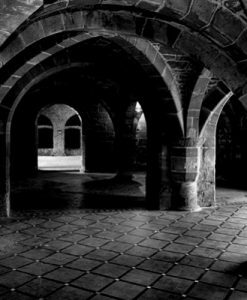 One of the most famous hauntings at the church concerns a phantom monk, who was reported dozens of times leading up to his final appearance on Christmas Day 1948. 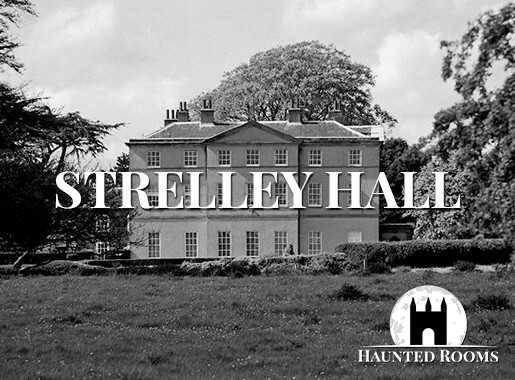 The ghostly figure would be seen strolling purposefully throughout the church, as well as the grounds outside. It is believed that he was guarding something, possibly treasure which he buried at the church during his time on Earth. Just why the monk stopped appearing at All Saints church in unknown. It is, of course, likely that he is still present at the building and is just waiting to be seen again. 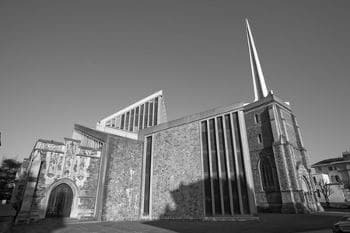 Strange events have also been reported in the house which sits on the church grounds, although these occurrences seem to be much more sinister than a monk watching over his former possessions. In 1840, the Jones family, who occupied the All Saints church house, began to report unexplainable events such as strange noises and an overwhelming sense of dread and fear. Mr. Jones, who was the man of the house in an extremely conservative period, grew increasingly fearful of an unseen entity and was ultimately left shaking on the floor while tears poured from his eyes. His wife, for her part, reported experiencing something not unlike demonic possession, as she would frequently have to fight the urge to throw herself from an upstairs window. In the mid 1940s the United Kingdom, much like the rest of the western world, was in the process of rebuilding after the Second World War. Returning to normal life was indeed a daunting task, but humanity went at it with the same gusto and determination which had won the war in the first place. Shops reopened, businesses were founded, and film studios began churning out more pictures than ever for the public to enjoy when they had a spare 90 minutes. One such movie was a screen adaption of The Light That Failed. 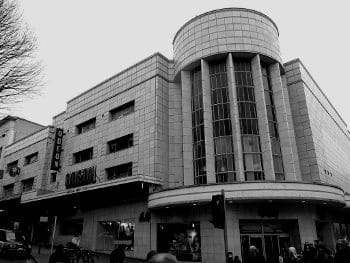 On the 29th of May, 1946, the movie was airing to an audience of 2,000 people at Bristol’s Odeon Cinema. The film captivated the audience and pretty much sucked them into another world, which is why nobody in attendance heard the gunshots which rang out from the office of the theatre manager. Robert Parrington Jackson, the manager of the cinema at the time, was found a little later on by an employee. He had been shot in the head. Shortly after his death, Robert Parrington Jackson’s ghost began appearing in the theatre which he once managed, but only in front of female members of staff and only for a few minutes at a time. Whether Jackson’s failure to appear to male employees is purely coincidental or not we do not know, but what is known is that the manager had a colourful love life and his questionable romantic dealings were rumoured to be the cause of his murder. 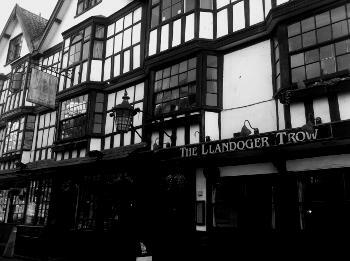 Dating all the way back to 1664, the Llandoger Trow on King Street is a public house with a whole lot of history. The pub was a popular haunt of actors and seamen, two professions which couldn’t seem anymore different. While their professions took them to vastly different places, the men of the theatre and the men of the sea had little trouble co-existing at Llandoger Trow, which was a place for jubilation and merriment regardless of occupation. The pub also served pirates. Lots and lots of pirates. In fact, it is believed that the notorious Captain Blackbeard, who was a native of Bristol, may have spent some time drowning his sorrows in the Llandoger between pillages. 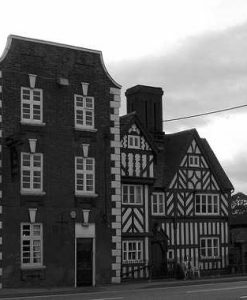 Paranormal activity has long been reported at the location and it is believed that the pub is haunted by the ghost of a young boy named Pierre. Though Pierre has not been seen by all that many people, he is frequently heard by patrons and staff of the Llandoger Trow as he moves about the building. The boy’s footsteps are unmistakable and follow the unique pattern of one foot hitting the ground before the sound of another foot being dragged across the floor. This has lead many to the conclusion that Pierre walked with a limp during his life. A number of years ago, security monitoring CCTV at the Llandoger reported noticing two males drinking alone in different parts of the pub. Assuming two troublesome revellers had somehow managed to hang around after the pub had closed for the night, the staff investigated. However, they were shocked to find that the two men were nowhere to be found. Arnos Court (as it was originally called) was built in 1760 and was home to a wealthy merchant by the name of William Reeve. Reeve even commissioned a church on the grounds of his new property, presumably because he wanted to pray in peace and not have to mingle with his pesky fellow man. In the mid 19th Century, an extension was added to Arnos Court and it became the site of a nunnery, as well as a school for girls. It is said that a nun became pregnant during her time at Arnos Court and was so distraught and worried about the reaction of her peers that she took her own life. When the other nuns discovered their fallen comrade’s body, they became fearful of a scandal, and rather than giving her a proper burial, decided to add a new wall to the mansion, in which they bricked up her corpse. 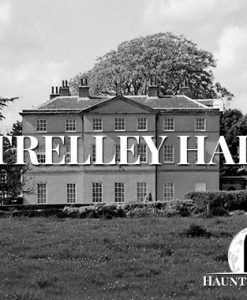 This tale was long considered to be purely legend until damage sustained in World War Two knocked down a number of walls in Arnos Court and exposed long dead bones. Arnos Court had been relatively quiet up to this point, but the discovery of the bones brought on an unprecedented level of paranormal activity in the building. William Reeve’s baby became a hub of disembodied voices, heavy footsteps, and broken plates. Arnos Court was converted into a hotel and renamed “Arnos Manor Hotel” in 1959, meaning the spirit (presumably of the pregnant nun) had a larger audience than ever to disturb with her ghostly powers. Those who have stayed in room 160 have reported witnessing the apparition of a figure dressed in a brown robe, as well as waking up in the middle of the night to find themselves unable to move. Guests have also claimed to have heard their names gently whispered when they are alone, and bathtubs in the hotel have been known to fill up seemingly by themselves.